Well, we're finally experiencing Fall in Rochester, NY. We were getting some super hot weather there at the end of the summer that made me think we're getting Florida weather! But regardless, we all made it and now we have shorter days and cooler nights to look forward to...until the snow flies! 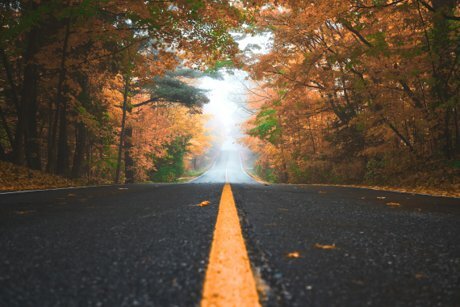 So now if you've been weighing whether now is a good time to sell your house, we've got 5 solid reasons why Fall is a great time to put your house on the market. 1. Less Competition - Typically, listing your home in the Spring means more competition because more people list their homes in the Spring, hence the term "Spring Market". You've heard of it, right? Well, listing your home in the Spring means you're going to be up against the largest numbers of comparable listings. By putting your home up for sale in the Fall, you'll have less competition. 2. More Serious Buyer Pool - Yes, that Spring Market brings out more buyers, but with the aforementioned competition, they can afford to be more picky AKA extend their search for months. Come Fall, more serious buyers will be feeling the pressure to be in a new home before the holidays or bad weather hits. 3. 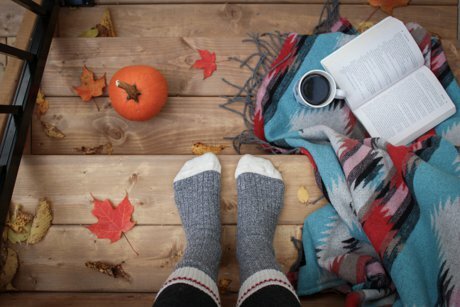 Different Buyer Demographics - While families are more likely to make their move in the spring, millennials and empty-nesters typically find great real estate later in the fall and that's not all. To avoid a crazy real estate market, employers who need to relocate employees often wait for the fall, when the market cools down. These out-of-towners will probably need to work through the process quickly, which could mean a quick closing. 4. Awesome Curb Appeal - Besides cleaning your gutters and raking the leaves out of your yard, there isn't a whole lot of maintenance or upkeep required of your home during the fall months. Combine with the comfortable temperatures and the many holidays at this time of the year, and you have the recipe for lots of curb appeal for your home. Add some seasonal decorations, a few touch-ups here and there, and your house will sell itself! No driving yourself nutty trying to get the greenest lawn in the neighborhood or shoveling tons of snow before showings start. 5. Home for the Holidays - Buy or sell early in the fall and you could be living in your new home for the holidays and before the harsh weather starts. Another thought, moving during the "calmer" months also means you may have better access to movers and other necessary resources than during the busier spring and summer months.